March 2017 - Kenwa Trading Corporation, a specialist in door hardware and various door closing solutions. We have recently added new items to our Amazon portfolio and now even more KENWA’s quality products have become available for sale on Amazon.com. Please visit each page from the following links. 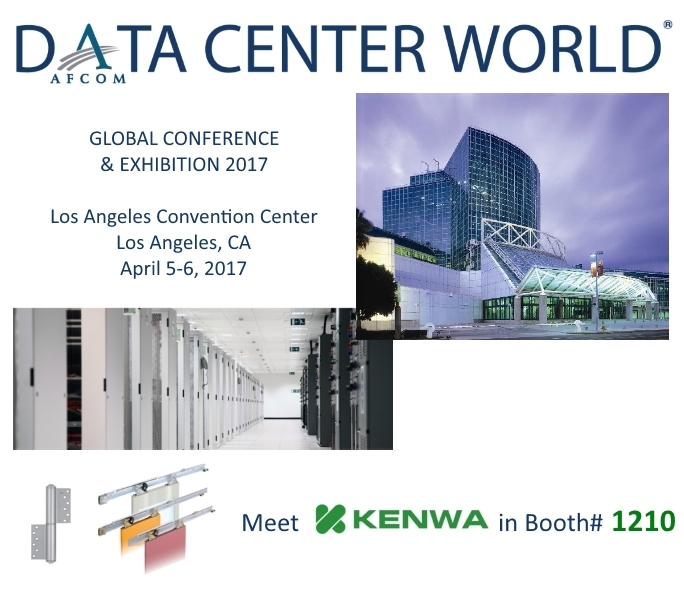 Data Center World Global Conference & Exhibition 2017 will be held from Wednesday April 5th through Thursday April 6th in Los Angeles, CA. Meet KENWA’s cutting-edge technologies in Booth# 1210.